Flanders, the northern region of Belgium consisting of Brussels, Ghent, Antwerp and Bruges is a delightful addition to any European vacation. Just a short train ride from London, Paris or Amsterdam, these breathtaking cities provide a myriad of chocolate, diamonds, beer, extraordinary architecture and art. 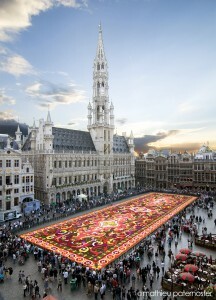 Marvel at Brussels’ opulent 17th-century architecture and Art Nouveau masterpieces. In the north, admire the fusion of renaissance old town with avant-garde design in Antwerp. The relaxing waterways dissecting the medieval centers of Bruges and Ghent are well worth exploring. Bruges, a lovely little medieval city recognized as a UNESCO World Heritage Site is great to explore on foot, by boat on the canals or in a horse-drawn carriage. Perfect for a romantic visit or to celebrate a special occasion, cozy boutique hotels with charming interiors await visitors. Bruges is also the Capital of Chocolate and has a chocolate festival every December. Not to be missed is the art of the Flemish Primitives. Ghent is a historic yet vibrant city that has all the good looks of Bruges – pretty canals and a medieval city center – but with more things going on. You could say it’s history with a heartbeat. Ghent is below the radar, but when you go it will blow your socks off. We recommend taking in culture in bite sizes. Take a nibbling tour of Ghent and get to know something about the history and architecture while tasting local specialties whether they are raspberry-filled sweets, cured ham or beer brewed with ‘gruut’ – an herb mixture – instead of hops. Art buffs should head to the St. Bavo Cathedral to admire the Adoration of the Mystic Lamb, the masterpiece painted by the Brothers Van Eyck in 1432. 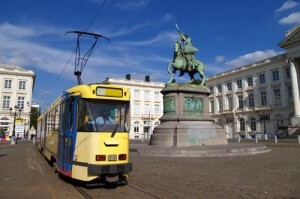 Antwerp is the second-largest port in Europe and has a very cosmopolitan vibe. It’s also the diamond capital of the world. 80% of the world’s diamonds are traded through Antwerp. If you buy your wedding ring in Antwerp, you even get a hotel night for free. Antwerp is also a fashionista’s paradise, both for the latest designer collections as well as for more mainstream or boutique fashion. Bruxellois love their food. Beyond mussels and frites around the St. Catherine Square, find innovative flavors in voguish restaurants on the Avenue Louise and classics like creamy waterzooi stews in cozy wood-paneled brasseries. A short stroll from the bustle of the Grand-Place, the romantic Grand-Sablon’s petit bistros are a great place to indulge. Be sure to try the shrimp croquettes, a local specialty made with little grey shrimp from the North Sea. A waffle is a must as well—there are two types: Brussels waffles and Liege waffles—try them both! Don’t forget: Belgium is a serious beer country, whose breweries produce around 450 varieties. So head to a cozy local pub to discover your favorite, such as cherry-flavored Kriek or smooth Trappist ales brewed by monks. There’s no greater pleasure in Brussels than sipping a refreshing lambic or cherry-flavored kriek beer in a cozy estaminet. Each pub has its own history and character, from the puppet theatre’s quirky Estaminet Toone to the Art Deco splendor of the beer café A la Mort Subite. The scene is more champagne cocktails, club beats and people-watching around the image-conscious Avenue Louise. On Rue Antoine Dansaert check out the legendary jazz bar “L’Archiduc.” For top-drawer ballet and opera, head to the neoclassical La Monnaie. In Brussels, bag bric-a-brac at Place du Jeu du Balle flea market, or comb through antiques along Rue Haute, Rue Blase and Sablon Square or seek out Belgian designer labels such as Ann Demeulemeester and sparkling diamonds in Antwerp. The ideal gift, a box of artisanal pralines, is easy to find: there’s always a local chocolate shop nearby. Travel Agents: You can use the content above on your own website or newsletter, compliments of the supplier sponsor above who has paid for your use of the materials. All you need to do is to follow the directions in the TRO Licensing Agreement. Also, please take a moment to check out the travel supplier that makes your use of this material possible. To use – Follow the procedure outlined in the TRO Licensing Agreement. Then, right click on this page and choose “View Source”. Copy the HTML and paste the copied html into your own webpages or newsletter. You may remove advertising.